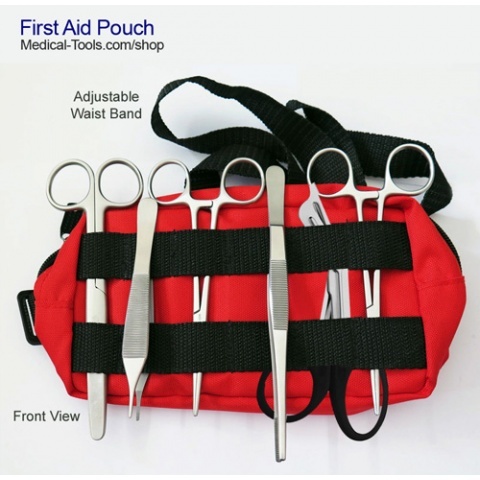 A household first aid instruments kit has a collection of supplies and instruments that are used to give medical treatment. 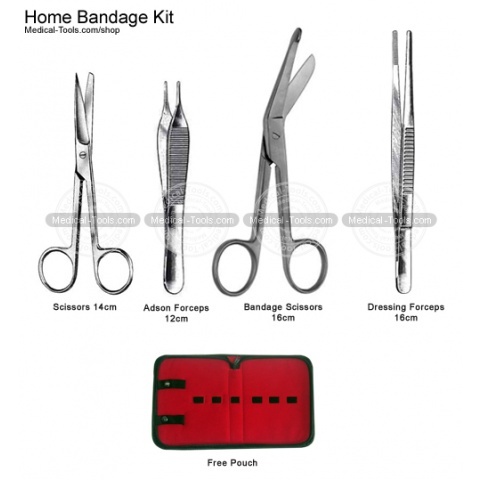 There is a wide variation in the contents of first aid kits, Medical Tools home surgical kits contains the most commonly used instruments. 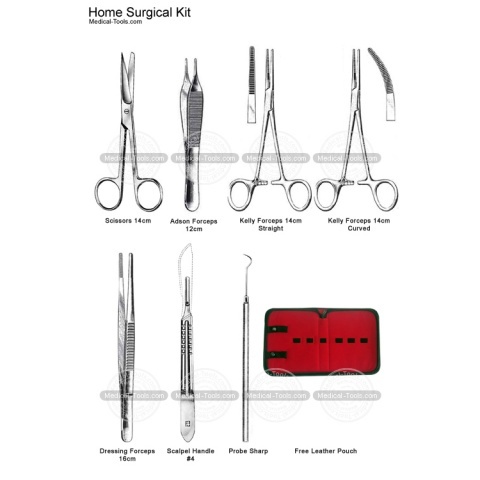 Home Surgical Kits are chosen by medical practitioners for home and travel use. All instruments packed in a pouch for easy carriage.